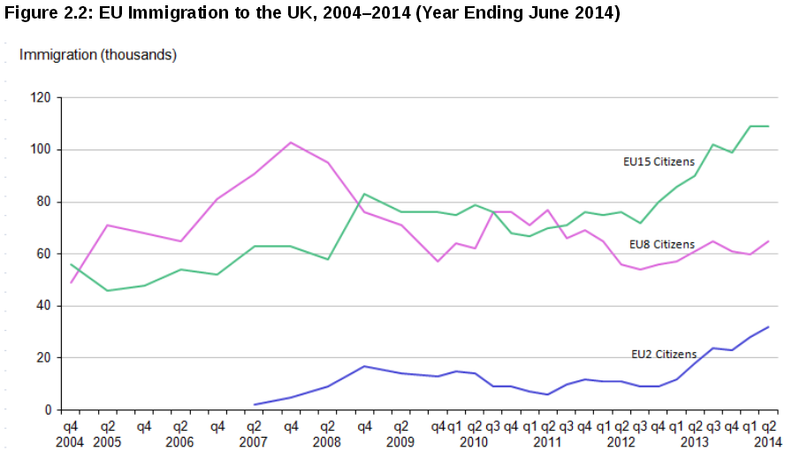 Open Europe: Will the new migration figures force the Tories to go one step further on free movement? Dave's going to have trouble talking his way out of this one. He needs to talk to Tony B. Liar to get a few more tips. 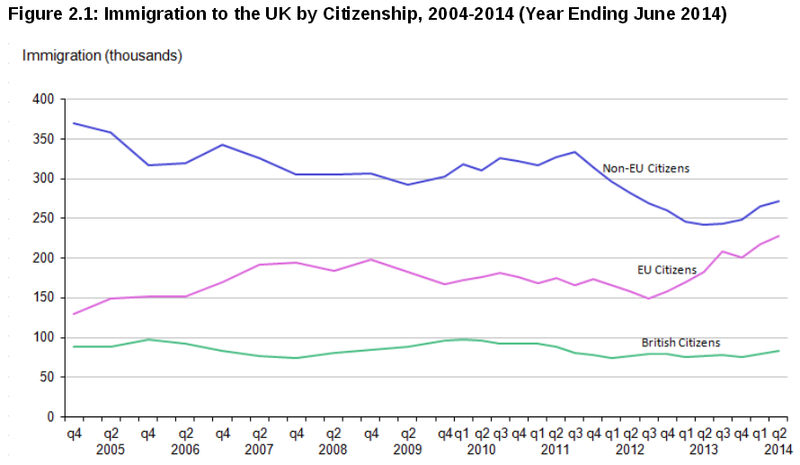 A few changes in benefits rules are not going to stop this invasion (now are they OE? Be realistic) and the UK voter will not accept another fudge. 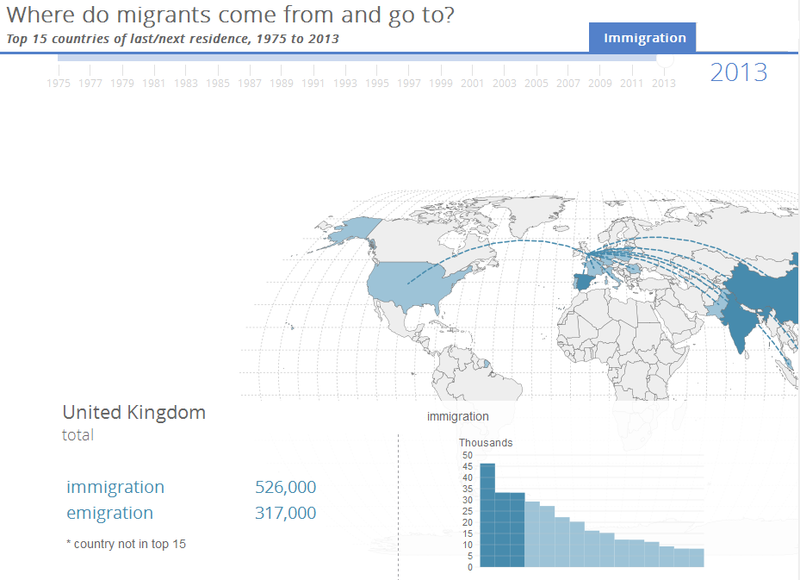 "However, EU migration is a large portion. The fact it is not showing any sign of decreasing will fuel trust issues over both the EU and migration." Actually that need not be too great a concern, because there are now relatively few people in the UK who still believe anything that Cameron and his Tory colleagues say about anything, and least of all about the EU and immigration. So your headline question could be answered as follows: these most recent immigration figures may or may not drive the Tories to talk about taking a harder line, but even if they do talk about it hardly anybody will be suckered into believing that they mean what they say or would actually do anything effective about it, and therefore there is really little potential electoral upside for the Tories in even talking about it. "The final reason we must have a vote is trust. Gordon Brown talks about “new” politics. And it is the cancer that is eating away at trust in politics. Small wonder that so many people don’t believe a word politicians ever say if they break their promises so casually. If you really want to signal you’re a break from the past, Prime Minister, do the right thing — give the people the referendum you promised. No treaty should be ratified without consulting the British people in a referendum." Seven years later and Cameron has repeatedly shown that he is just as untrustworthy as Brown, and many people have noticed that. Cooper - you distort the truth to nbolster your prejudices. Stop the talk about "Benefits" - it is a dangerous distraction. FACE the problems of the NUMBERS. Change the UN-Controlled Immigration into natural Controlled Immigration. It is time to WELCOME people from anywhere in the World - provided - that they have the skills and backgrounds Britain wants and needs. Really, perdix, and exactly which part of anything I've written is untrue? Your hero Cameron is just as much a liar and cheat and hypocrite as Brown, hard though that may be for you to accept.